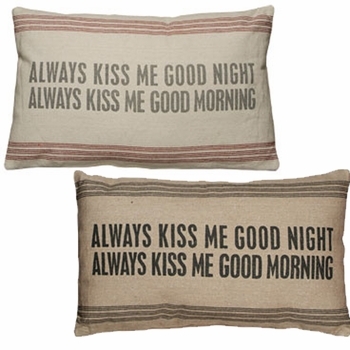 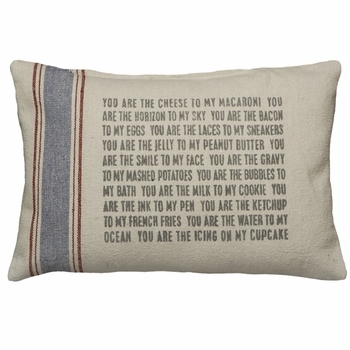 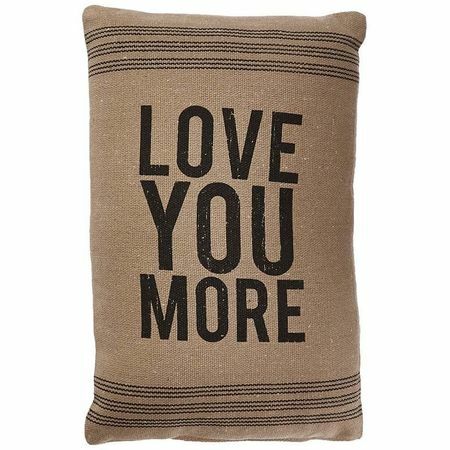 The Message: Love you more - Perfect for that intimate pillow fight! 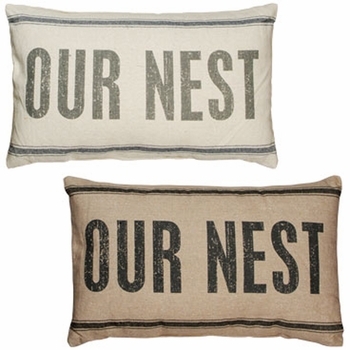 This expressive pillow is high quality linen, woven to look like well-worn flour sacks. 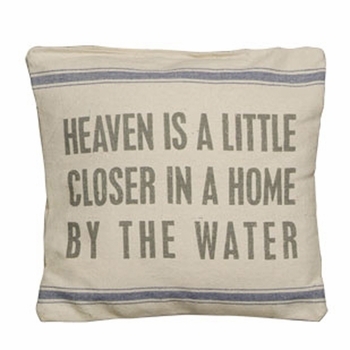 The printing is and ink dye that is absorbed into the fabric leaving an extremely soft and delicate feel.